This short 2 week trip is to attend my college class 50th reunion at Queen's University in Kingston. 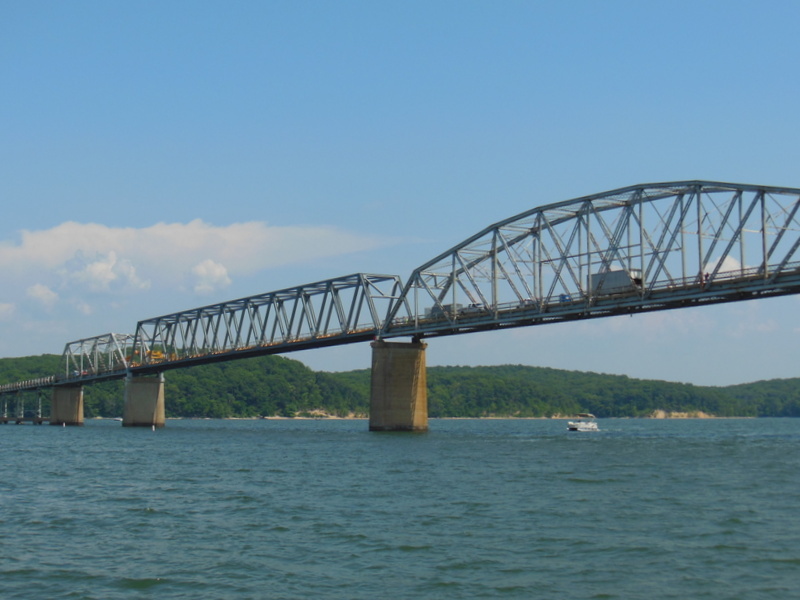 We picked up the View in Murray and spent Friday and Saturday nights on the Katy Leigh. 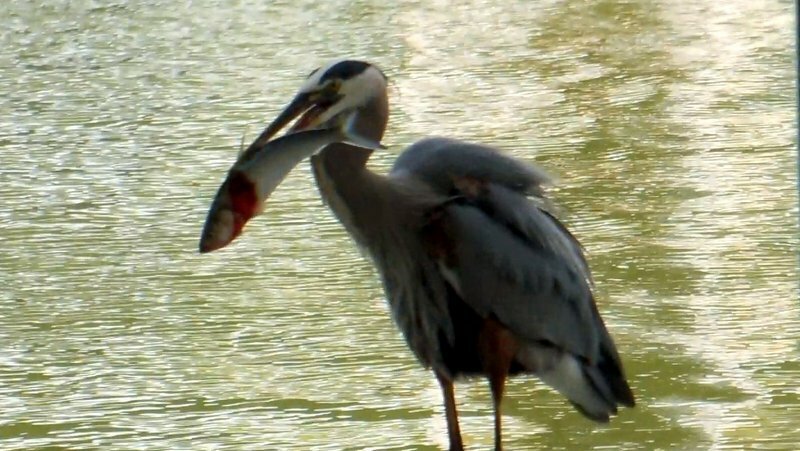 The big event was to film a Great Blue Heron swallowing a large fish. When the camera turned on the heron had speared the fish and jumped up on our dock. The fish was the wrong way around to swallow, so he dropped the fish and before it touched the dock he had flipped it around the right way. He raised his head and before you know it the fish was down the hatch wriggling away bones, head and all. When I was filming it I thought he had dropped it in the water. Only watching the film did I realize what he had done. Watch the video here. Saturday was gorgeous and we went out and tested the new Garmin electronics. 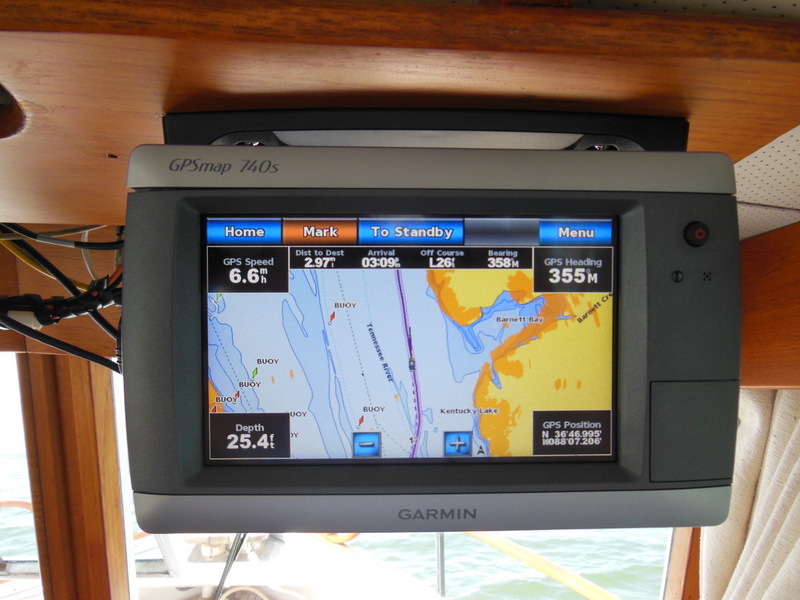 Over the past 3 weeks I installed a new touch screen chart plotter, AIS (shows the position, speed and direction of tow boats), radar, and depth sounder. There is quite a learning curve to use all this stuff but the basics come quickly. Saturday night was a Grand Lakes Yacht Club party. This morning we left at 7:20 AM and drove 372 miles to Wilmington Ohio. Tomorrow we drive 188 miles to Navarre, OH for a two day rally of Winnebago View folks.